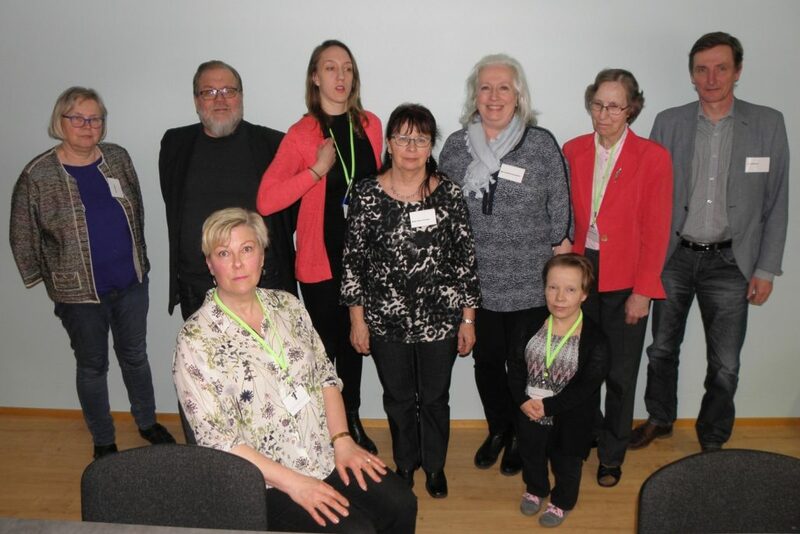 The Finnish Patient Organisation for Primary Immunodeficiencies (Imppu ry) held its Annual Meeting and members’ event in Sokos Hotel Vaakuna, Hameenlinna, during WPIW on April 22, 2017. The meeting was attended by 20 members of the organisation together with company representatives, physicians and IPOPI’s National Member Organisations Programmes Officer, Ms Saara Kiema. The Annual Meeting was held in the morning and the new Board for the organisation was elected. Ms Janika Sundström was elected as the new chairperson and Mr Jari Kervinen, the former chairperson, is now a staff member, occupying the position of executive director. After the Annual meeting, it was time for the members’ event. Dr Merja Helminen from Tampere University Hospital gave a lecture about Primary Immunodeficiencies and treatment options in Finland. It was followed by Ms Saara Kiema who gave a presentation about IPOPI’s latest activities and projects. The attendees had the chance to exchange experiences and brainstorm on the organisation’s future activities while enjoying lunch and afternoon coffee. IPOPI wishes to congratulate the new Board of Directors of Imppu ry!